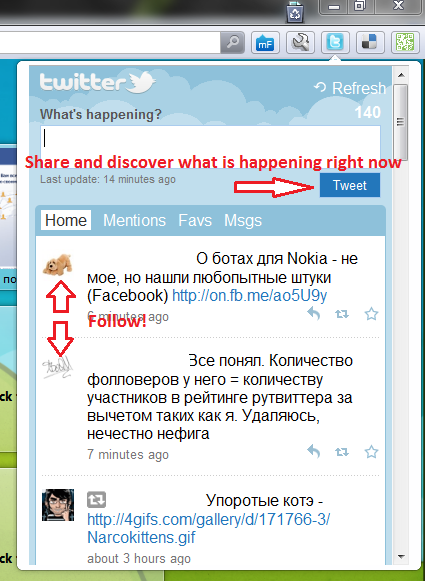 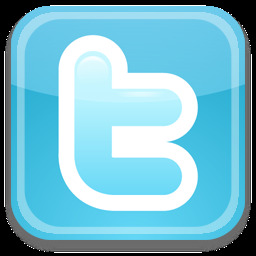 TwitterOk is a simple and light twitter-client for Opera 11. 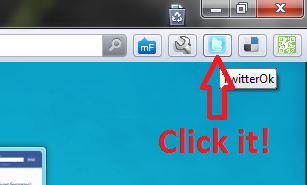 Now, for ready to follow your friends on twitter, simply click on the icon of extansion. 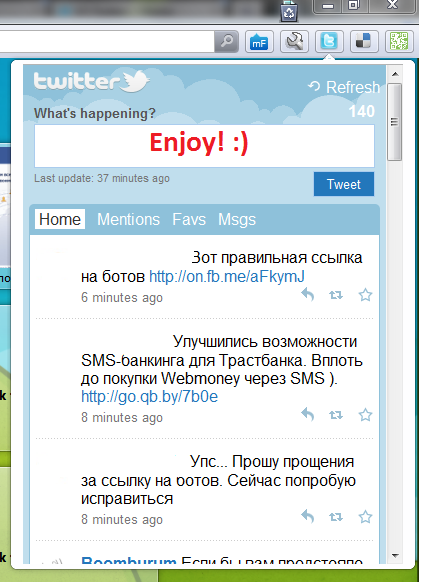 Discover what’s new in your world! 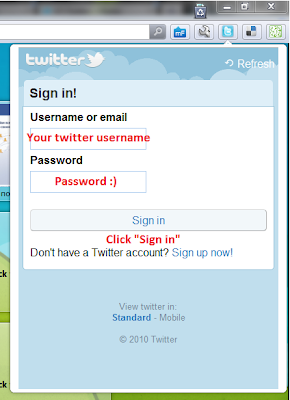 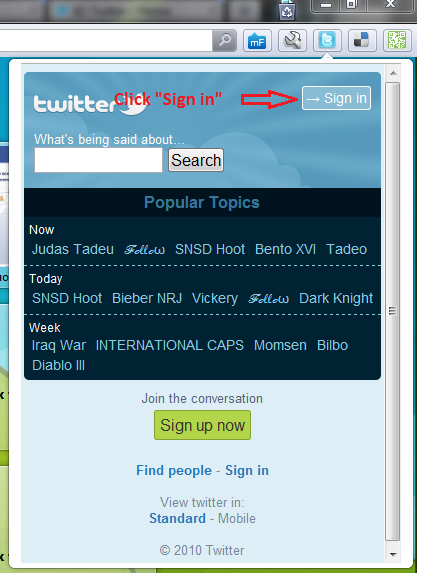 Sign in http://mobile.twitter.com once, click "Approve". 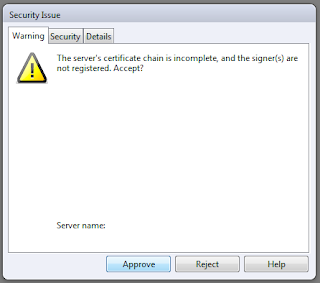 Then sign in extension.